Serving across Africa and ministering to Africans living in Europe, AIM works in partnership with the African church to reach Africa’s unreached peoples with the Good News of Jesus Christ. Right now millions of Christians are at risk of persecution around the world. Open Doors is active in over 50 countries, supplying Bibles, leadership training, Bible-based literacy programmes and support for Christians suffering for their faith. Rope is committed to combating the impact of poverty across the world. Working through a network of partners, all motivated by Christian compassion, ROPE’s goal is to meet the immediate needs of individuals and communities, whilst always striving to create long term sustainable change in the lives of the poor. Hundreds of thousands of vulnerable children in the UK need care and protection to ensure that they can live safe and happy lives, free from neglect, abuse and exploitation. Spurgeons’ is committed to providing the support that will enable these children to enjoy their childhood and fulfil their true potential. Tearfund is driven by the belief that the local church is a powerful force for transformation in communities living in every kind of poverty. Inspired by the example and teaching of Jesus, Tearfund recognises that people have deeply interconnected material and spiritual needs and seeks to meet those needs by working through local church partners. Ukraine Christian Ministries believes that our love should not be just words and talk: it must be true love which shows itself in action. Jim Harries (PhD), sent by Wantage Baptist Church to minister in Africa since 1988, lives in western Kenya. He serves primarily in Bible teaching using especially the Luo and Swahili languages. Jim has authored numerous books and articles. 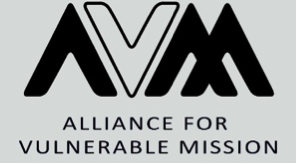 Jim also chairs the Alliance for Vulnerable Mission.